We have been involved radio controlled modelling now for over 40 years having started in RC cars which lead to world and European championship wins and running many success teams in RC racing, but our first love was always the aero-modelling scene so like most RC modellers we started on full builds from a plan and a pile of balsa. We have realised over the years that this is fine if you have the time and room. 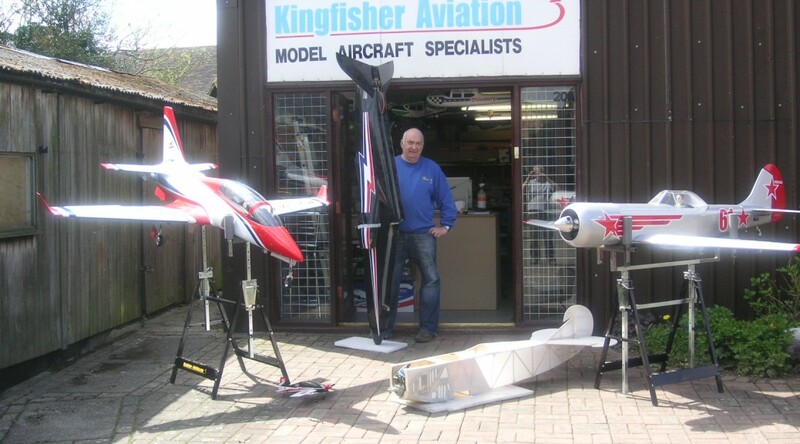 We have built a number of kits and loved every minute of building them, but with the introduction of some very good scale ARTF’s onto the market it meant that you could now take a proven airframe and do what you wanted with it in half the time if you had the skills. We can offer any combination of builds; all depend on your personal preference, please contact us directly for any further information. Standard Out the Box Build. This is simply putting together a kit out of the box without any customisation or weathering etc. Engine, Servos and Electrics etc. could be provided by you or procured and sent directly to us or of course we can supply all the parts and kit for you. Cost is dependent on type and size of kit and I would ask for half up front and half when complete. Standard Build with Exterior Weathering. Applies mainly to warbirds although some civilian models can also benefit from a makeover. This is a standard build of a Kit as above with added surface detail and weathering applied to the exterior. This option can be as broad as you like. From a few simple mods to a full detailed cockpit and surface detailing. This option would also usually include full weathering. All options are totally up to you to decide how far you want to go. I can usually accommodate most requests but as always the best thing to do is call me to discuss your requirements. If your building time is limited, we can also offer a building and finishing service. This can be from kits, plans or our own design, including finishing part built projects and damage repairs. Contact us for further details of this service.